Acquiring a neck pain virus may be a plausible explanation for otherwise idiopathic sudden-onset cervical symptoms. Both viruses and bacterial infections have the potential to cause neck pain and some of these foreign contaminants can spell big problems for their host. In other cases, infections and viruses can cause severe pain, but pose very little threat to otherwise healthy individuals. This informative study helps patients to better understand the effects of viruses and bacterial infections on the anatomy of the neck. We will also identify the most common infectious contaminants that are often implicated in contributing to neck symptoms. 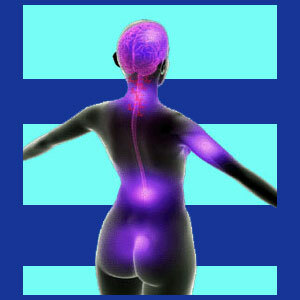 There is no actual contaminant that is called a neck pain virus. There are, however, several viruses that can create discomfort in various sections of the neck region, including the front, side and back. Viruses can affect the body locally, or systemically, and both varieties can create the ideal circumstances for neck ache to occur. Viruses and bacterial infections are often highly contagious, making them transmissible from person to person. Each type of germ may have a unique process of transmission, including airborne, fluid-borne or surface-borne. Remember that the anatomy of the neck contains the spinal cord and the spinal canal, both of which can be infected by viruses or bacteria. However, there are also many other types of anatomical tissues, including glands, lymph nodes, nerves and circulatory vessels, and all of these are also common targets of viral and bacterial infection. Influenza (also called the flu) is certainly the most common type of viral infection that might cause bodily pain in the back and neck. The flu generally involves fever, nausea, sweats, aches and pains and a variety of other possible symptoms. Flu can strike quickly and incapacitate completely. Most patients will recover without any professional medical intervention. However, the very young, the very old and those with compromised immune systems might suffer far more grave effects from influenza infections. Meningitis comes in viral and bacterial forms. Viral meningitis is far less serious in most instances and will usually resolve without serious complications. Bacterial forms are more virulent and difficult to treat successfully. Besides neck stiffness and pain, most patients will suffer fever, headaches, extreme drowsiness, nausea and other flu-like symptoms. Mononucleosis is a virus that can cause terrible glandular pain in the neck. This serious infection is rarely responsible for causing pain directly in the rear of the neck, but is a common cause of side neck pain and deep frontal neck pain. Other symptoms may include high fever, profuse sweating, weakness and inflammation of the throat, tonsils and lymph nodes in the neck. Viruses are tiny enemies that can injure or kill the largest and strongest lifeforms on earth, including human beings. They can cause a great number of terrible symptoms, including acute severe neck pain. If you suspect that a sudden case of neck stiffness or pain may be related to a bacterial or viral infection, it is always wise to see your doctor right away. It is true that most viruses do not need to be treated medically, but some require professional intervention. The most serious infectious contaminants can create life-threatening conditions within a matter of hours. These are certainly no circumstances to take lightly. When in doubt, get checked out. There is no harm in being safe and sure. For children, the elderly and people with immune concerns, this must be an absolute rule, without exception. One serious infection can injure or kill these susceptible demographics. In cases of serious viral or bacterial infection, severe neck pain might just save your life, by igniting the desire to get medical help.